A neck lift, also known as a lower rhytidectomy, reduces or eliminates the visible signs of aging in the jawline and neck. The surgery addresses loose neck skin, excess fatty deposits under the chin, excess fat in the lower face, and muscle banding in the neck. By doing so, a neck lift procedure restores the youthful contours in the face and neck. Babak Azizzadeh, MD, FACS is internationally recognized for his expertise in facial plastic surgery and neck lift procedures. As a Harvard-trained aesthetic and reconstructive neck lift surgeon, he attracts patients both nationally and internationally to the CENTER for Advanced Facial Plastic Surgery in Beverly Hills. He is the author of five bestselling books, including Master Techniques in Facial Rejuvenation and Beverly Hills Beauty Secrets, is recognized as a Top Doctor by the US News & World Report, and has been featured on the Oprah Winfrey Show, The Doctors, The New York Times, and countless other media outlets. A neck lift is a procedure to restore and revitalize the appearance of the neck and throat. This surgery not only trims and smoothes excess skin on the neck, but it also removes fat deposits and tightens muscle laxity. By correcting the underlying muscle structures in addition to the outer skin layer, a necklift produces provides patients with a more youthful neckline. At the CENTER for Advanced Facial Plastic Surgery, Dr. Azizzadeh takes a conservative, precise approach to neck lift surgery. Everyone ages differently; therefore Dr. Azizzadeh customizes each necklift procedure with the anti-aging needs of the patient in mind. As a result, he often utilizes a combination of procedures and techniques to achieve facial harmony and a natural-looking neckline. How Does a Neck Lift Differ from a Platysmaplasty? Neck lift surgery and platysmaplasty may seem similar, but there are significant differences between these procedures. Dr. Azizzadeh is a Beverly Hills neck lift surgeon recognized for his expertise with neck lift surgery and platysmaplasty. He teaches patients about neck lift surgery, platysmaplasty and other facial rejuvenation procedures. Also, Dr. Azizzadeh helps patients decide between neck lift surgery and platysmaplasty and evaluate complementary facial rejuvenation treatments. For individuals who want to revitalize the appearance of the neck and face, a neck lift may prove to be ideal. Dr. Azizzadeh is happy to discuss neck lift surgery with patients. He also responds to patients’ concerns and questions and offers expert treatment recommendations. A neck lift is a great procedure for an individual who is experiencing excess skin and muscle laxity on the neck. As we age, the skin on the neck can become loose and slack, excess fat and skin relaxation can create jowls, fatty deposits form under the chin, and muscle banding make the neck appear visibly aged. Dr. Azizzadeh can correct the loss of youthful contours in the neck from the issues mentioned above, with a neck lift. As an internationally renowned facial plastic and reconstructive surgeon, Dr. Azizzadeh’s goal is to achieve harmony with all vectors of the face, including the neck. In order to do this, he does not simply tighten the outer skin on the neck. Instead, he uses deep plane lifting techniques, ensuring the neck is tight, elegant and natural looking. A comprehensive neck lift consultation with Dr. Azizzadeh is a unique experience. After examining the patient’s face and neck and having a thorough understanding of the patient’s concerns and anti-aging goals, Dr. Azizzadeh will discuss both non-invasive and surgical approaches, where appropriate. Unlike other plastic surgeons who may only recommend neck lift surgery, Dr. Azizzadeh has an innovative perspective of customizing surgical and non-surgical treatments for the neck and the face to comprehensively address signs of aging. As a result, the patient will see an appearance that is youthful and harmonious. Facelift:Rejuvenates the appearance of the face and neck. Facelift surgery is one of the most popular facial plastic surgery options. Brow Lift:Reduces the appearance of a heavy, sagging brow. A brow lift helps patients raise drooping eyebrows, eliminate deep furrows, and rejuvenate the eyes. Eyelid Lift (Blepharoplasty): Treats bags under the lower eyelids and excess skin that affects the upper eyelids. Blepharoplasty enhances the appearance of the eyelids and can be performed on the lower eyelids, upper eyelids, or both. Submental Liposuction: Tightens the muscles beneath the chin, improves the chin’s contour, and eliminates the appearance of a double chin. Dermal Fillers: Enhance the facial appearance without surgery. Dermal fillers are used to fill in fine lines and creases throughout the face. Botox: Smooth fine lines, wrinkles, and furrows caused by excessive muscle movements. Botox treatments require just minutes to administer and temporarily relax muscle movements in the face. Ultherapy: Leverages ultrasound technology to lift and tighten the skin. Ultherapy simultaneously stimulates collagen growth and tightens loose skin. Laser Skin Resurfacing: Requires DOT Deka laser treatments to resurface the skin on the face and neck. Laser skin resurfacing helps patients improve skin tone, texture, and pigmentation. Am I A Good Candidate for Neck Lift? In many cases, the ideal anti-aging treatment plan includes both surgical and non-surgical options. To help his patients achieve a full understanding of their aging process, Dr. Azizzadeh has created the “Aging Arc”. This helps patients see the aging process visually, in relation to their age in actual years. It is Dr. Azizzadeh’s goal to put his patients in the positive range on the Aging Arc, meaning their facial and neck appearance is the best it can be in relation to their chronological age. During a consultation with Dr. Azizzadeh, he will show the patient where he or she falls on the Aging Arc, along with what facial rejuvenation techniques can be used to put them in the positive range. As a highly specialized facial plastic surgeon, Dr. Azizzadeh takes plenty of time to help his patients fully understand their cosmetic options during their consultation. He educates patients on the underlying causes of their cosmetic complaints, along with how each treatment option will address those particular issues. In the complex field of facial and neck plastic surgery, knowledge is the most important thing for a patient, and it is Dr. Azizzadeh’s goal to educate his patients. From there, he knows that you will make the right decision for yourself. As a Harvard-trained, double board-certified facial plastic and reconstructive surgeon, Dr. Azizzadeh takes an extremely detailed approach to neck surgery. Through his many years of experience, he believes there is no such thing as a standard neck lift. Instead, every patient requires thorough examination of his or her unique issues and anti-aging goals so Dr. Azizzadeh can create a customized neck lift. Dr. Azizzadeh’s approach to neck surgery is dynamic, integrating all areas of his facial plastic surgery expertise for the best outcomes. Skin-SMAS-Platysma Lift-Generally performed for more mild neck lift cases, the skin lift involves lifting and tightening the neck and throat skin, creating a more toned appearance in the neck. Dr. Azizzadeh will always support the SMAS-platysma to get long lasting results. Platysmaplasty-This procedure tightens underlying muscles in the neck, known as platysma muscles. During the aging process, these muscles are responsible for the unwanted appearance of bands in the neck. A platysmaplasty addresses these muscles while concurrently repositioning fat to create a tighter, more youthful neckline. With every neck lift surgery, it is Dr. Azizzadeh’s goal to maintain the patient’s natural beauty. Therefore, during the surgery, Dr. Azizzadeh is able to precisely tighten and sculpt features and restore volume, preserving the patient’s natural contours for a beautiful and vibrant outcome. As an expert Beverly Hills neck lift surgeon, Dr. Azizzadeh helps each of his patients prepare for neck lift surgery. Dr. Azizzadeh responds to a neck lift patient’s concerns or questions leading up to a procedure. 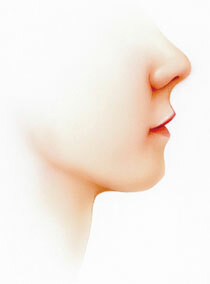 He also offers recommendations to ensure a patient can streamline his or her neck lift recovery. Certain aspirins, herbal supplements and anti-inflammatory drugs may increase a neck lift patient’s risk of bleeding. As such, Dr. Azizzadeh may ask a patient to stop taking certain medications prior to a neck lift procedure. Furthermore, Dr. Azizzadeh provides special instructions about what a patient should do the night before and morning of neck lift surgery. He offers postoperative care tips to neck lift patients, too. That way, neck lift surgery patients know exactly what to expect at all stages of treatment. Neck lift surgery is typically performed under anesthesia. Dr. Azizzadeh first makes a small incision behind each of a patient’s ears; in some instances, he may also make a small incision under a patient’s chin. Next, Dr. Azizzadeh tightens a patient’s neck muscles, as well as removes sagging or excess skin from the neck. This helps a patient achieve a firm, youthful-looking neck. 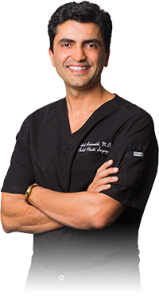 Dr. Azizzadeh is a Los Angeles neck lift surgeon who tailors each procedure to his patient. He prepares an extensive treatment plan for a neck lift patient. Together, Dr. Azizzadeh and his patient ensure this treatment plan is successful. Dr. Azizzadeh’s expertise in facial plastic and reconstructive surgery has made him one of the most sought after physicians in the world. Click the button below to view his results. Gently clean your incisions with hydrogen peroxide once a day for the first 7 days. Apply antibiotic ointment 3 times a day over all incisions. Wear chinstrap garment as much as possible for the first week after neck lift surgery. If irritation occurs, remove the chinstrap and call our office. It is important that you prevent the bandage from rolling up or wrinkling under your chin. Use cold compresses in the first 72 hours after neck surgery (20 minutes per hour when awake) then switch to warm compresses (20 minutes, 3 times per day) thereafter over the areas of bruising. Keep head elevated for at least one week following neck lift surgery. This includes while you sleep, rest or relax. You may remove compression garment to shower starting 2 days after surgery. At The CENTER for Advanced Facial Plastic Surgery in Beverly Hills, our goal is your comfortable, smooth recovery. If any questions or concerns arise at any point during your recovery, we are here to help. How does a neck lift differ from a liposuction procedure? A neck lift is a minimally invasive surgical procedure that helps a patient remove excess fat on the neck, as well as treat sagging skin or muscle banding. Comparatively, liposuction is used to exclusively remove fat deposits from the neck or other parts of the body. 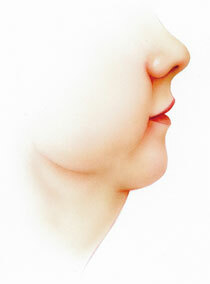 Where is a neck lift procedure performed? A neck lift surgery is generally performed at an outpatient treatment center. The procedure usually requires only a few hours to complete, and patients can return home shortly after treatment. Will I receive anesthesia during a neck lift procedure? A neck lift is often performed under local or general anesthesia. Dr. Azizzadeh determines if a neck lift patient requires anesthesia prior to treatment. Are neck lift procedures available for both men and women? Both men and women commonly undergo neck lift surgeries. What is the ideal age for a neck lift? The ideal age for Los Angeles neck lift surgery varies. Dr. Azizzadeh conducts a patient evaluation prior to a neck lift to determine if an individual qualifies for treatment. If Dr. Azizzadeh believes an individual can benefit from neck lift surgery, he is happy to perform the procedure, regardless of the patient’s age. How long does it take to perform neck lift surgery? The time required to complete neck lift surgery varies. In some instances, Dr. Azizzadeh may perform a neck lift in about one hour. Or, if neck lift surgery is performed in conjunction with a facelift or other facial rejuvenation treatments, Dr. Azizzadeh may require several hours to complete the procedures. Are there risks associated with neck lift surgery? When performed by an expert facial plastic surgeon, like Dr. Azizzadeh, the risks of a neck lift surgery are very minimal. However, neck lift surgery risks may include bleeding, scarring and infection. In rare instances, a small amount of blood collects under the skin (hematoma) and must be removed after surgery. Also, if certain portions of the neck skin flap do not heal well, a patient may require an extended recovery period. Dr. Azizzadeh outlines the risks associated with neck lifts before surgery. He is happy to respond to a patient’s concerns or questions before and after a neck lift procedure as well. Will smoking affect my recovery from a neck lift procedure? Smoking can have effects on the neck lift recovery process. Dr. Azizzadeh may recommend a patient stop smoking for at least two weeks prior to a neck lift surgery. This allows a patient to reduce the risk of medical complications. Additionally, Dr. Azizzadeh requires patients to avoid smoking after surgery for several weeks. Can I receive a neck lift if I am dealing with a chronic medical condition? Dr. Azizzadeh performs a full patient evaluation before a neck lift. If a chronic medical condition puts a patient’s safety at risk, Dr. Azizzadeh will not recommend surgery for this individual. Can I resume my everyday activities after a neck lift procedure? Light activities like slow walking may be performed after anesthesia wears off following a neck lift procedure. However, strenuous activities or exercise may increase a patient’s risk of bleeding, swelling and bruising and should be avoided immediately following surgery. Typically, patients can resume yoga, cycling, running and other heavy activities within about three weeks of a neck lift. For individuals who play football or participate in other contact sports, they can resume these activities within about six weeks of surgery. Is there anything I can do to speed up the neck lift recovery process? Neck lift recovery may seem long and arduous. Fortunately, there are things a patient can do to streamline his or her neck lift recovery. The aforementioned items enable a neck lift patient to minimize pain, swelling and bruising after surgery. As such, they should be readily available at home for the first few days after neck lift surgery. Additionally, it often helps to have plenty of pillows available following a neck lift. Pillows can help a neck lift patient keep his or her head elevated after surgery. For a neck lift patient, it may be beneficial to have a friend or family member stay with him or her for at least 24 hours after surgery, too. A friend or family member can provide care and support, and ultimately, ensure a neck lift patient can focus on his or her recovery. Dr. Azizzadeh offers tips and recommendations throughout the neck lift recovery process. He also requests follow-up appointments to track his patients’ progress in the weeks and months following neck lift procedures. A neck lift is designed to deliver long-lasting results. Yet patient results vary. As the aging process moves forward, wrinkles and sagging skin may start to reappear. Is scarring noticeable after a neck lift procedure? In most instances, surgical scars are not noticeable after a neck lift procedure. Dr. Azizzadeh tries to make incisions in specific areas of the neck to ensure neck lift surgery scars are virtually invisible. Is a neck lift the right procedure for right for me? The answer to this question varies depending on the patient and his or her desired neck lift treatment results. To determine if a neck lift is ideal, it is crucial to consult with Dr. Azizzadeh. As a Harvard-trained and dual-certified facial plastic and reconstructive surgeon, Dr. Azizzadeh can provide comprehensive neck lift surgery insights to a patient. That way, a patient can use these insights to make an informed treatment decision. Of course, Dr. Azizzadeh is happy to respond to a patient’s neck lift concerns and question as well. Dr. Azizzadeh strives to provide a neck lift patient with full details about surgery. This allows a patient to understand how a neck lift will impact his or her facial appearance. Plus, it enables a patient to establish realistic expectations for a neck lift procedure. As an internationally renowned facial plastic and reconstructive surgeon, Dr. Azizzadeh has been featured in major news outlets for his unrelenting expertise in this crucial field, including The Doctors, Entertainment Tonight, The Insider, and more. Most notably, he was featured on Oprah for his groundbreaking facial nerve reconstruction on Mary Jo Buttafuoco, a prominent victim of a shooting. Additionally, Dr. Azizzadeh has been featured in People Magazine, New York Times, Discovery Health, Los Angeles Times, Beverly Hills Courier, and many other prestigious media outlets. He authored the best-selling book Beverly Hills Beauty Secrets, and was the lead editor on a number of definitive medical textbooks, including Master Techniques in Facial Rejuvenation and Master Techniques in Blepharoplasty and Periorbital Rejuvenation. These textbooks have become a standard in the medical community and are used all over the world by board-certified plastic surgeons as well as training programs for up and coming plastic surgeons. He is the co-director of the annual, world-renowned Cedars-Sinai Advances in Multispecialty Aesthetic and Reconstructive Surgery Symposium and the co-director of the USC Facial Plastic Surgery Fellowship Program. Dr. Azizzadeh is a top Beverly Hills Los Angeles neck lift surgeon, and he is available to teach individuals about neck lift surgery. Please contact us today at 310-657-2203 to schedule your neck lift consultation with Dr. Azizzadeh. We also offer phone or Skype consultations for out-of-town patients. A neck lift is used to remove excess fat, tighten muscles and smooth skin on the neck. It also helps an individual minimize the signs of aging in the neck, jawline and throat, as well as restore a youthful curve to the neck and jawline. At the CENTER for Advanced Facial Plastic Surgery in Los Angeles, Dr. Babak Azizzadeh can teach patients about neck lift surgery. Dr. Azizzadeh is a globally renowned facial plastic and reconstructive surgeon who helps patients prepare for surgery, and ultimately, use the treatment to achieve a slim, natural-looking neckline. Neck lift surgery helps a patient enhance the appearance of the neck, jawline and throat. The surgical procedure involves the removal of excess fat deposits and tightening of skin on the neck, resulting in a naturally beautiful neckline. Dr. Babak Azizzadeh of the CENTER for Advanced Facial Plastic Surgery is a globally recognized facial plastic and reconstructive surgeon who strives to help a patient make an informed decision about treatment. He is happy to respond to a patient’s treatment concerns and questions and ensure he or she knows exactly what to expect during a neck lift procedure. A neck lift, also referred to as a “lower rhytidectomy,” helps a patient eliminate common signs of aging in the neck, jawline and throat and restore a youthful neckline. Surgery offers many benefits, yet preparing for treatment sometimes can be difficult. Dr. Babak Azizzadeh of the CENTER for Advanced Facial Plastic Surgery in Los Angeles takes a holistic approach to neck lift surgery, and as such, does everything possible to help a patient prepare for treatment. For those who strive to rejuvenate the neckline, a neck lift procedure may be ideal. Surgery addresses loose, slack skin on the neck, jawline and throat, common problems that occur due to the natural aging process. Over time, excess fat and skin may lead to the formation of jowls, fatty deposits under the chin and other problems that impact the appearance of the neck. Now, Dr. Babak Azizzadeh of the CENTER for Advanced Facial Plastic Surgery offers neck lift procedures to help individuals address the loss of youthful contours in the neck. What Issues Can a Neck Lift Address? Thanks to neck lift surgery, an individual can address fat deposits and buildup, skin laxity, muscle laxity and other problems that affect the neck’s appearance. However, not everyone qualifies for surgery, and it is important for an individual to consult with an expert facial plastic and reconstructive surgeon prior to treatment. Dr. Babak Azizzadeh of the CENTER for Advanced Facial Plastic Surgery in Los Angeles is a world-renowned facial plastic and reconstructive surgeon. He can meet with a patient, perform a full examination and determine if this individual is eligible for neck lift surgery. Should You Undergo a Neck Lift in Conjunction with Other Facial Plastic Surgeries? An individual sometimes benefits from a neck lift performed in combination with a brow lift, chin augmentation or other facial plastic surgeries. Ultimately, the goal of a neck lift or any other facial plastic surgery is to help an individual achieve a balanced and beautiful facial appearance. To determine if an individual qualifies for a neck lift or another facial plastic surgery procedure, Dr. Azizzadeh performs a comprehensive patient analysis. He then provides a personalized patient treatment recommendation, which may include a neck lift and one or more complementary facial plastic surgeries. At the CENTER for Advanced Facial Plastic Surgery, a neck lift treatment consultation is a valuable learning opportunity for both a patient and Dr. Azizzadeh. At this time, a patient can learn how a neck lift is performed and its immediate and long-term benefits. Comparatively, Dr. Azizzadeh can find out if a patient qualifies for a neck lift and any other facial plastic surgeries. He can also craft a personalized neck lift surgery recommendation, as well as respond to a patient’s treatment concerns and questions. Is Now the Right Time for a Neck Lift? If a person is dealing with neck fat deposits and buildup, neck muscle or skin laxity or other visible signs of aging in the neck, now may be a great time to pursue a neck lift procedure. By consulting with Dr. Azizzadeh, an individual can learn about all aspects of a neck lift surgery, including how the procedure is performed and what to expect during the recovery process. Plus, an individual can receive expert insights into neck lift surgery that he or she can use to make an informed treatment decision. Should You Schedule a Summertime Neck Lift Surgery? Summer often proves to be the best time to schedule a neck lift or other facial plastic surgery procedure. In some cases, it may be easier to get time off from work in summer than other points during the year. This means an individual can undergo a neck lift in summer and fully recover from the procedure without having to worry about using substantial vacation or personal time. Additionally, a neck lift allows a person to revitalize his or her facial appearance, leading to increased self-confidence. Thanks to neck lift surgery, an individual can enjoy a boost in self-confidence that extends beyond summer. Where Do Neck Lifts Rank Among the Top Plastic Surgeries for Men? Neck lift surgery ranks fourth among the most-popular plastic surgeries for men, according to a recent American Society of Plastic Surgeons (ASPS) report. In fact, the ASPS report showed 6,300 neck lift procedures were performed on men in 2016, which represented 21% of all neck lift surgeries. A neck lift simultaneously helps men trim and smooth excess fat and skin on the neck and tighten muscle laxity. As men search for innovative ways to revitalize and rejuvenate their facial appearance, the number of men to undergo neck lift surgery may increase in the years to come.